This Postgraduate Course is regarded as one of the most esteemed qualifications in Technical Education; it not only adds value but also gives an overall insight into the functioning and development of Industries. This course is a mandatory requirement for aspirants who’d like to pursue a carrier as an academician. 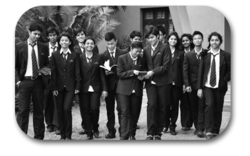 St. Vincent Pallotti College Of Engg. And Tech. Our company has been acknowledged for offering M Tech Course to the clients. Students are required to do substantial amount of course work to complement their undergraduate or masters level education. These are 2 post-graduate program year programs for specializing in certain areas of electrical engineering. Eligibility for Admission. First class or 60% marks (55% for SC/ST) in: i) B.Tech./B.E. in Biomedical, Chemical, Computer Science, Electrical, Electronics, Telecommunications, Instrumentation, Mechanical Engineering, Engineering Physics, Metallurgy and Materials Science. OR. ii) M.Sc. ABES Engineering College offers two years regular M.Techprogram with three specialization and affiliated from Uttar Pradesh Technical University, Lucknow (U.P.T.U) with University Campus No. (College Code) - 032 & is approved by All India Council of Technical Education (AICTE). We are a top-notch organization, engaged in providing M Tech Course. 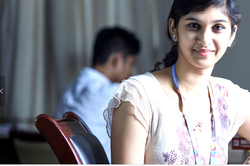 We are a top-notch organization, engaged in providing M.Tech Course. The M.Tech program is a 2-year, four semester, full time, campus based program. The program is structured to enable the students to tackle practical problems of design and development for industrial applications and to pursue academic research. We are amongst the most reputed names in the industry, offering M Tech Course. We are a top notch supplier of M Tech Course. We are engaged in offering M Tech Course. Our reputed entity is engaged in supplying M Tech Course. We are a top notch supplier of M Tech Course Service.